The least expensive coffees by far to be had in the U.S. are offered by the two leading big-box retail chains, Walmart and Costco. For this month’s article we tested twenty-one samples purchased from our local Walmart and Costco outlets. The coffees we found at Costco were offered in largish bulk packaging ranging from two pounds up to five, with an emphasis on whole bean and 100% Arabica. Our local Walmart offered a much larger number of selections, some in two-to-three-pound packaging, but most in smaller, supermarket-scaled packaging, under a pound, with the majority of the offerings pre-ground. Walmart selections ranged from relatively expensive all-arabica coffees through less expensive all-Arabicas to bottom-dwelling, Robusta-heavy, mass-market blends. Both stores offered proprietary brands, Costco its Kirkland Signature line and Walmart both its premium Sam’s Choice line and its pre-ground and canned Great Value line. The results of our tests are presented in tabular form at the end of this article, and reviews of eight of the twenty-one samples can be accessed from the Read Reviews link at the end of this article. We had hoped for some luminous surprise, an exceptional coffee at a startlingly low price. No such discovery turned up among these twenty-one samples, however. In fact, no exceptional coffee turned up at all, even among the pricier all-Arabicas sold at Walmart. The Starbucks pre-ground Breakfast Blend sold at our local Walmart, for example, cost an equivalent of over ten dollars per pound but attracted a rating of only 80, a score that in our practice suggests a coffee just at the cusp of acceptable. A note on ratings. 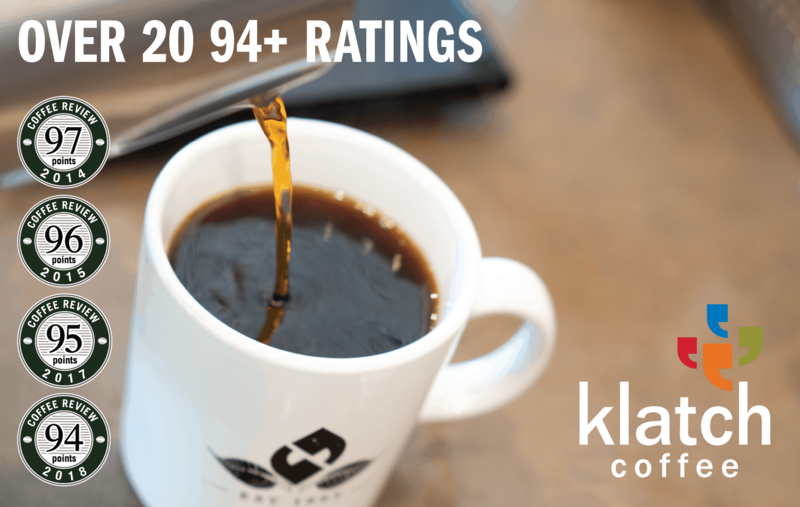 For us, a rating of 85 marks the minimum starting point for good to exceptional coffee. Ratings of 85 to 89 describe coffees with solid quality and some individuality. Ratings of 90 or higher suggest exceptional coffees both in terms of quality and distinction. In the other direction, ratings of 84 to 80 imply decent, drinkable, though certainly not distinctive or memorable coffees. Ratings of 79 or lower suggest barely acceptable to unacceptable quality. A rating of 75 or lower indicates that, from our perspective, you are being ripped off by a very poor coffee regardless of how little you paid for it. Given the highest rating this month was 84 (for a dark-roasted Peet’s Major Dickason’s Blend bought at Costco), then this month’s exercise necessarily becomes focused less on quality per se and more on the price/quality tradeoff. In other words, the question this month is not so much which the best coffees are, but rather which coffees are both acceptable in quality and low in price. Best dark roast at a reasonable price: A version of Peet’s Major Dickason’s Blend, rated 84 and sold at Costco at a per-pound equivalent price of $8.75, was a solid dark roast with a hint of individuality. The same blend bought in bulk at our local Peet’s retail location cost $14.95 per pound. The store version showed a little more character and authority than the Costco version, but I suspect that even discerning consumers would be just as happy with the less expensive version from Costco. Best value dark roast: The Costco Kirkland Signature House Blend (rating of 82 at an equivalent of $5.76 per pound) offered the bonus appeal of Fair Trade certification. This blend was roasted by Starbucks, by the way, and perhaps sourced by Starbucks, but it modestly outscored any of the Starbucks-branded samples we tested. This blend is labeled a “medium” roast by the way, but by any criterion I know of it is a dark roast. Best medium roast at a reasonable price: The Walmart proprietary Sam’s Choice Breakfast Blend (a rating of 82 at an equivalent of $7.36 per pound) also offered a bonus appeal, in this case Rainforest Alliance certification. Best value medium roast: A toss-up between the Starbucks Veranda Blend if purchased whole-bean at Costco (rating of 80 at an equivalent of $5.92 per pound) or the pre-ground Walmart Great Value 100% Colombian (rating of 79 and priced at an equivalent of $4.64 per pound). Biggest rip-offs: The Millstone Kona Blend, rated 80 and sold at Walmart for an equivalent of $12.24 per pound, was listless and empty. Runners-up were two pre-ground Starbucks blends sold at Walmart, the scorched and thin-bodied Starbucks House Blend, rated 79 and sold at Walmart for a per-pound equivalent of $10.64, and the Starbucks simple, bittersweet Breakfast Blend, also sold for an equivalent of $10.64 per pound and rated 80. It seems that if you want your Starbucks at a bargain price, you would be better advised to shop at Costco. Biggest disappointment: The 77 rating for the Eight O’Clock 100% Colombian, purchased at Walmart at a per-pound equivalent of $7.24. Eight O’Clock is a traditional American coffee brand that has offered whole-bean all-Arabica coffees at low supermarket prices ever since its founding by the A&P supermarket chain in 1919. In 2005 Eight O’Clock was purchased by Tata Coffee, a vertically integrated Indian coffee growing, exporting, roasting and retailing company owned in turn by Tata Group, a vast Indian conglomerate. In 2008, after Tata assumed ownership of Eight O’Clock, we cupped a very fine sample of the brand’s 100% Colombian and awarded it a rating of 90. I recall that, around the same time, an Eight O’Clock 100% Colombia sample also did very well in a Consumer Reports panel cupping. The Eight O’Clock 100% Colombia sample we tested this month, however, four years later, displayed decent structure but was muted, sourish and slightly fermented in aroma and flavor. Its mild but unmistakable taints could be blamed on the Colombia coffee industry’s recent years of weather-related struggle, although today it certainly appears possible to find considerably better Colombian green coffees than those in this blend at workable prices. Nor can the problem necessarily be blamed on Eight O’Clock’s purchase by Tata Coffee. Rather, this month’s poor ratings could suggest a return to form for Eight O’Clock, given that our ratings of the basic Eight O’Clock Original blend have bounced around from a low of 60 to a high of 86 over the past fifteen years, with stops between at 65 and 73. This month the Original came in at 76. Perhaps a practice of spotty quality control has simply reasserted itself at Eight O’Clock, regardless of ownership. One can look at the price/quality trade-offs suggested by this month’s testing from a glass half-full or half-empty perspective. From the half-full perspective the best of the Costco bulk whole bean all-Arabica selections, the Starbucks Veranda blend, for example, offer better quality than the typical supermarket cans – Folgers, Yuban, Maxwell House – at roughly similar prices. The reason is simply that the supermarket cans are filled with Robusta coffees that can range from tasteless and woody to flat-out repulsive, whereas the version of the Starbucks Veranda we tested from Costco, for example, may not have been a fine coffee, but it was all-Arabica and free of taint, meaning it was definitely cleaner and marginally livelier than any of the standard brand supermarket canned coffees we have tested over the years. And purchased at Costco it would cost today an equivalent of $5.99 per pound, putting it squarely aligned with prices at my local chain supermarket for Robusta-heavy canned blends in the larger-sized, cheaper bulk cans (currently $5.42 per pound for the usually dreadful Folgers and $6.27 and $6.62 respectively for the marginally better Maxwell House and Yuban). If we turn to look at the price/quality tradeoff from a glass-half-empty perspective, however, it appears based on this month’s sampling that if you are looking for a coffee that displays both quality as well as distinctiveness, in other words a coffee that is not only good but good in some interesting way, then you will need to abandon the big boxes and the supermarkets and pay a bit more for coffee from a specialty retailer. 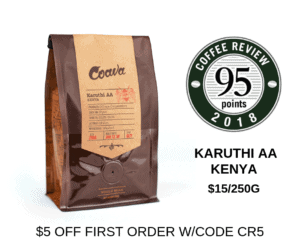 A survey of pricing among roasting companies that typically score well on Coffee Review suggests that a careful shopper can find coffees rated in the 88 to 91 range for an equivalent of $13 to $14 per pound. These prices, of course, are for solid coffees produced in volume, not for exceptional microlots of rock-star varieties like Gesha or other lovingly coddled tiny lots of exceptional beans, which perhaps misleadingly tend to dominate the very highest ratings on Coffee Review and which, regrettably perhaps, range in price from the expensive to the astronomical. (Complete chart to be added soon).